The 6th day of the American Olympic Qualifiers was an important one for Team Canada as 4 of its boxers were competing in quarter-finals hoping to pursue their Olympic dream. During the afternoon session, David Gauthier (60kg) was the first Canadian to jump in the ring. Following a spectacular victory in the previous round, Gauthier was now facing a more experienced boxer, Jaime Munoz from Panama. However, it didn’t stop the Quebecer as a multitude of hard-landing punches earned him the victory by split decision in his favor. Gauthier now advances into semi-finals where he will face the #1 seed Luis Cabrera (VEN) as early as today. A few bouts later, it was Petru Bolun’s turn to fight for his spot for the Olympics. The Canadian boxer had a tough bout ahead of him as he was facing Carlos Mina from Ecuador, a very experienced boxer who participated in the World Series of Boxing with team Caciques de Venezuela. Unfortunately, Bolun lost the bout by a unanimous decision. The evening session was much anticipated as it was both Thomas Blumenfeld and Arthur Biyarslanov’s first bouts in the American Olympic Qualifiers. After waiting 6 days before his first round, Thomas Blumenfeld (52kg) was facing David Jimenez from Costa Rica. While his opponent showcased a much more aggressive style of boxing, Blumenfeld remained composed and very skillfully dodged many punches. Although it was a close bout, the great technical skills displayed by the youngest member of Team Canada were not sufficient and his opponent won by split decision. The last Canadian boxer to enter the competition was Arthur Biyarslanov (64kg). 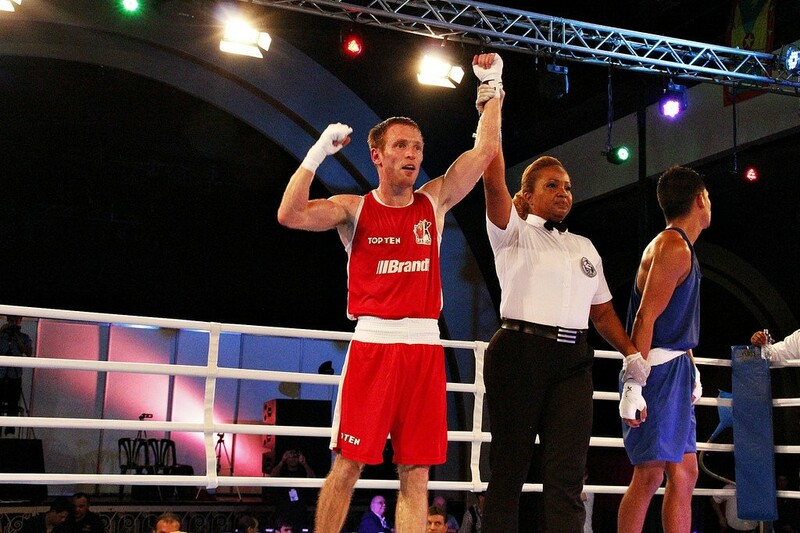 After winning the gold at the 2015 Pan-Am Games in Toronto, Biyarslanov is ranked as #1 seed during the American qualifiers. For his first fight in Argentina, the Canadian (also known by his nickname “The Wolf”) was facing Danielito Zorrillo from Puerto Rico. It was a close bout as Biyarslanov remained cautious and didn’t showcase his full potential. Waiting for six days before his debut was probably not ideal as the Canadian athlete was anxious to get started. Without any majors blows throughout the three rounds, the #1 seed still won the bout by split decision and will advance to semi-finals where he will face Carlos Tobar this evening. As day 6 of the American Olympic Qualifiers concluded the quarter-finals, Team Canada advances to the semi-finals with four of its boxers, Mandy Bujold, Ariane Fortin, David Gauthier and Arthur Biyarslanov. With this, Canada advances a total of four boxers to the semifinals.